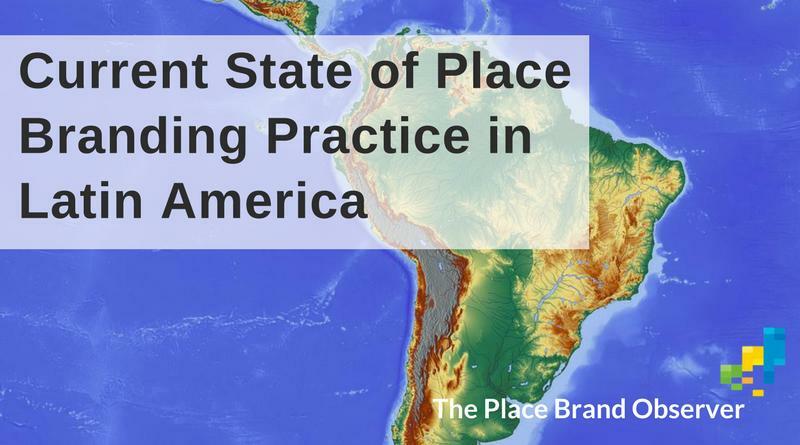 What is the current state of place branding practice in Latin America? In this post, learn what leading place brand developers, managers and advisors think about the branding of cities, countries and destinations in Latin America. Which challenges Latin American cities, regions or countries face regarding place brand development and management. Latin America needs to improve its performance regarding the purpose dimension of country branding, which is linked to quality of life, value system and business potential. Issues such as safety and security, tolerance, health and education and lack of advanced technology still impact the region’s branding efforts. Before we can expect any significant changes in brand perceptions, those structural needs have to be met, tells us Gustavo. On the other hand, he points out that “Latin America has just a few brands that work as country ambassadors.” This is a lost opportunity since “commercial brands help conform a country reputation and imagery.” Once Latin American consumer or service brands show great performance, countries in the region will benefit from a strengthened image, Gustavo Koniszczer points out. In our ranking of cities, we can find only two Latin American cities in the top 20 of most influential cities according to our research: Sao Paulo and Rio de Janeiro, both in Brazil. If cities improve their performance, the country could benefit from them. Brazilian place branding professional Raquel Goulart agrees, but also points out that Latin America has some significant examples of good place branding, especially Colombia, Peru and more recently Costa Rica. I believe that there are some specific traits that influence the approach to the discipline and its overall comprehension and implementation. I’ll give some examples found in Brazil: low standards of civic engagement, lack of cultural uniformity (due to miscegenation, immigration and the variety of regions, habits, lifestyles, etc. ), huge social inequality, and high level of political instability. I see that different audiences in private and public areas are indeed interested in place branding, but this interest has not yet turned into concrete projects. Colombia has had two country brands in less than 10 years. Each government develops a new proposal and there is no consistency to the brand. The business sector in Colombia has not been able to understand the value or usefulness of the brand since very little is associated with the “made in”. It remains to be seen how place branding practices in Latin America evolve over the next years. Hopefully our decision to offer The Place Brand Observer also in Spanish language will pay off and help place professionals realize the potential of place branding. Especially when approached with placemaking and development at its core, rather than ‘just’ communications and promotion. Günter Soydanbay recently wrote an intriguing guest post on the seven deadly problems of place branding projects: lessons from Guadalajara in Mexico, an example of how not do to it. Lina Maria Echeverri in her posts refers to various countries in Latin America. And of course our cases and examples of place branding in other regions offer plenty of insights and advice for Latin American cities, regions and countries. While we aren’t aware of any specific book dedicated to place branding in Spanish-speaking Latin America, Caio Esteves just published the first book in Portuguese. Primarily aimed at a Brazilian audience, the book includes the thoughts of many leading place brand thinkers and doers. Hopefully it will help place professionals gain a better understanding of the topic. That’s all we have at the moment on place branding in Latin America. If you’d like to explore further, why not zoom in on our world map for in-depth interviews with leading place managers, marketers and developers in Latin America. What do you think about the current state of place branding practice in Latin America? Do you agree with the views shared in this post? Comments welcome.